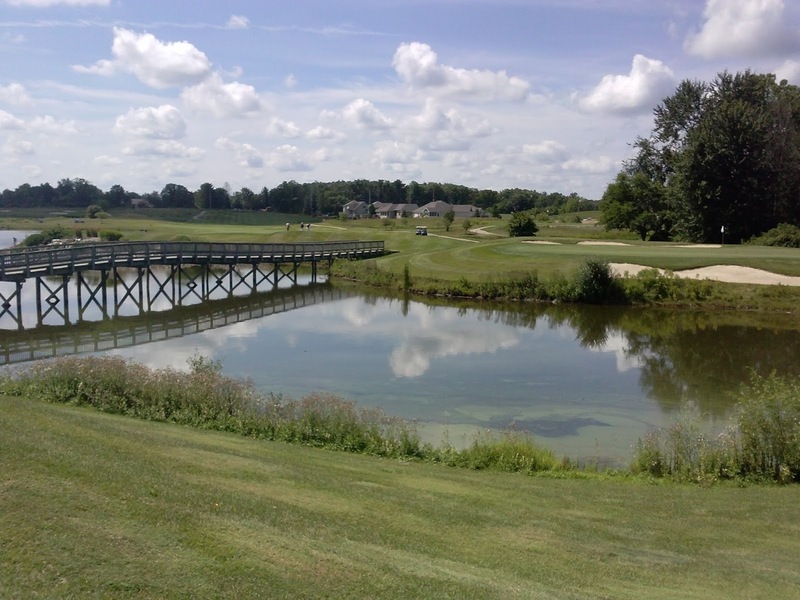 Greens fees: $40 to $55, or Great Indiana Golf stay-and-play package. Greens fees: $28 to $45, or Great Indiana Golf stay-and-play package. Greens fees: $29 to $46, or Great Indiana Golf stay-and-play package. As surprising golf travel experiences go, they don't get much better than the one I just had in Northeast Indiana. In two action-packed days, accompanied by Cleveland-area businessman Ray Murphy, I played three of the seven courses included in the Great Indiana Golf Packages stay-and-play portfolio. We played Glendarin Hills Golf Club in Angola on Day One. On Day Two, we played an early-morning round at Noble Hawk Golf Links and a late-morning round at Cobblestone Golf Course, both in Kendallville. 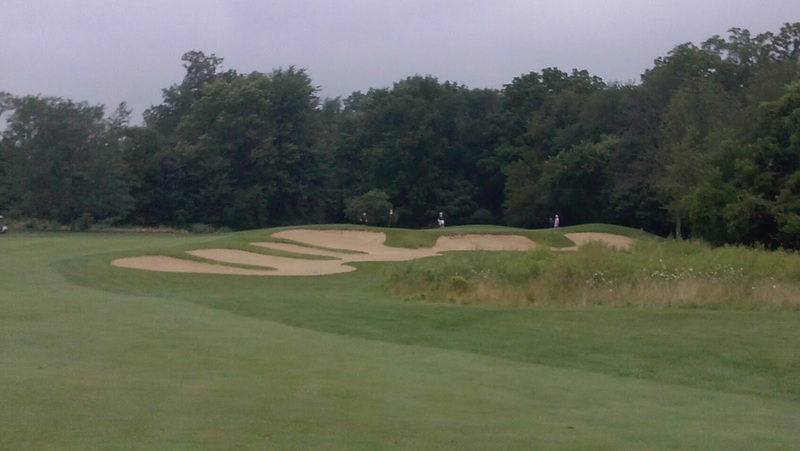 From relative proximity to Northeast Ohio to outstanding playing conditions, comfortable lodging, golfer-friendly pricing and Hoosier State hospitality, the trip was a rousing success. The trek had its roots at the Cleveland Golf Show in January. While working my way across the exhibit floor at the I-X Center, I met Rick Hullett, representing Great Indiana Golf Packages. Hullett told me about the seven courses in the stay-and-play packages based at the Best Western hotel in Kendallville. He gave me some brochures and business card and asked me to stay in touch. A few months later, I revisited the brochure and did web research on the seven courses, the hotel and the price points of the stay-and-play packages. The courses were intriguing, the hotel appeared to be nice and the prices were eye-openers in the affordable sense. That the courses were in the same neck of the woods as Parkview Field, home of the Fort Wayne TinCaps of the Midwest League, was icing on the cake. Weather permitting, Ray and I would augment golf at Glendarin on Day One with an evening excursion to Fort Wayne to watch the Lake County Captains play the TinCaps. Ray is minority owner of the Captains, a team I'd been covering since they arrived in Eastlake in 2003. We'd both heard Parkview Field was one of the best venues in minor-league baseball. The trip to Northeast Indiana went off without a hitch. We departed from the parking lot at Classic Park at 7:10 a.m., worked our way west to Cleveland and got on the Ohio Turnpike in Lorain County. Continuing on the Indiana Toll Road, we got off at the first exit and took Route 69 south to Angola. At 10:30 a.m., we were in parking lot at Glendarin Hills well in advance of our 11 a.m. tee time. Glendarin Hills set the bar high for the quality of golf we'd experience during our stay in Northeast Indiana. Living up to its name, Glendarin Hills offered rolling terrain and plenty of elevation change, none of it severe. We played the blue tees at 6,300 yards and found the course to be eminently fair. The front nine is bookended by par-4s, the 370-yard 1st and 362-yard 9th holes, the back nine by par-5s, the 520-yard 10th and 475-yard 18TH holes. The best of the par-3s, with the green guarded by water, is the 164-yard 13th. Although the greens had recently been top-dressed, putts ran quick and smooth. Noble Hawk offers two golf experiences for the price of one. The front nine is Midwest links. The back nine is tree-lined parkland until you return to links for the final three holes. We thought about playing the white tees (6,007 yards) but opted for green (6,411 yards). You need to think your way around Noble Hawk, starting with the par-4, 391-yard 1st hole. Doglegging hard to the right, the hole requires a tee shot over grassy waste area to a slightly elevated fairway. Distance control and accuracy are at a premium. On the par-5, 519-yard 4th hole, quickly survey the forward areas of the hole before hitting your second shot. With water on the left and nasty rough on the right, blasting away without a plan makes no sense. A similar approach would serve you well on the par-5, 542-yard 13th hole. The par-4, 411-yard 9th and par-549-yard 18th wrap around the same lake and are first-rate finishing holes. At Cobblestone, we played from the gold tees (6,447) and found it to be a stern but fair test. Particular favorites for me are the par-5 498-yard 3rd, par-4, 278-yard 4th, par-3, 169-yard 12th and par-4, 391-yard 15th holes. Given the experiences we had playing these three courses, I wish there'd have been time enough on this to visit the other four included in Great Indiana Golf Packages - Bridgewater Golf Links in Auburn, Autumn Ridge Golf Club and Cherry Hill Golf Club in Fort Wayne and Indian Hills in Centreville, Mich., about 45 minutes north of Angola. 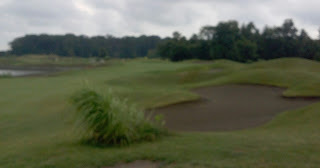 As close as these courses are to Northeast Ohio, every effort will be made to do just that in the near future. Accommodations at the Best Western in Kendallville were clean, comfortable, friendly and centrally located. It takes less than 15 minutes to travel from the hotel to Noble Hawk and Cobblestone. Travel times to the other courses vary from 30 to 45 minutes. Fall golf trip 2012, Days 5. 6 &7: Santee, S.C.
Fall golf trip 2012, Days 2, 3: Pinehurst, N.C.